With Britain's House of Lords reform on the cards, what about all the other powerful white men in white wigs? This week saw Lords Reform, that most elusive of changes, once again left to compost for a few aeons. As Frank Zappa once said, “it’s not dead. It just smells funny.” While Lords reform brews, decomposes, or quietly drops off the agenda, why not ask: what about the other sphere dominated by white men in white wigs? 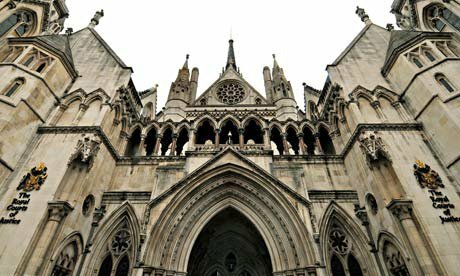 The British judiciary remains entrenched in structures, traditions and a professional culture that keeps it increasingly irrelevant to the people it serves. Earlier this year, the House of Lords Constitution Committee found that “only one in 20 judges is non-white and fewer than one in four is female, and this disparity is undermining the public's confidence in the courts.” If the House of Lords thinks you’re undemocratic and unrepresentative, you must have a serious problem. According to the published data, in 1998 around 10% of judges were women. In 2011, it was 22%. So, if the trend continues, we’ll have a gender balanced judiciary in around 2040. BME judges were 1.6% in 1998 and 5.1% in 2011. As ethnic minorities represent around 12.1% of the population of England, we can hope to see an ethnically representative judiciary by around 2035. What is missing is a class background - so, for example, how many judges attended state schools? A report from all the way back in 1999 chastised the then Labour government for appointing judges who were overwhelmingly from a private school background (79% of new appointees compared to the existing ratio of 69%). Age is also mentioned in the 1999 report, but has quietly slipped down the agenda. They have a point. Some courts and parts of the legal system perform pretty well on a purely statistical basis. For example, just over half of Magistrates are women, and just under 10% are from a BME background. Again, it would be preferable to see a proper census, taking into account both class and age - and we suspect we’d find significant issues still persist. With House of Lords reform now dominating the headlines, bolstered by statistics citing the current lack of diversity of the second chamber, the data on the white-male-Oxbridge composition of at least the higher echelons of the judiciary should provoke a similar desire to reform and improve. But how do we achieve greater diversity in the judiciary, and why should we? So what about the importance of diversity in the judiciary? Well, you can argue that in order for citizens to have confidence in those making judgments upon them, the people making the decisions should be reflective of the community. This is basically the principle on which the use of juries in the UK came to be developed: the idea of being judged by equals rather than by lords. The other reason is that different viewpoints – and perhaps viewpoints not too far away from those affected by rulings – make for better decisions and better law. A third argument is about the quality of the judiciary itself. At the moment, the institution faces the classic problem with merit: that mediocre white-male-Oxbridge judges can rise to the top comparatively easily, but one needs to be an exceptional woman or ethnic minority to make an impact. As such, greater diversity – and encouraging the best would-be judges from a wider variety of backgrounds – would mean a better quality of judges overall. Yet, according to the most recent data, a striking lack of diversity persists. And while there is cyclical media and professional criticism of the narrow background of most judges, the issue has never gained the momentum necessary to mobilise real change. This year, the House of Lords Constitution Committee declared that targets “may be needed” to recruit more ethnic minority and female judges if the judiciary did not better reflect society within five years. Such measures were not yet necessary. While quotas may generate controversy, this nonetheless raises the question of what it would take for such a change to finally be made, or for other attempts at tackling the lack of diversity to fully emerge. The judiciary is the glacier branch of government – that’s part of its role as a barrier against the potentially hurtling change of our fused executive-legislature – but this leaves the issue of tackling diversity in danger of forever being prolonged ‘to see how things are in five more years’. On the issue of gender, Helena Kennedy’s searing and clear-sighted analysis of the biased lenses of the British legal system, Eve Was Framed, was published in 1993, yet its finding that women are short-changed by the judiciary (in part because so few judges understand the reality of female experiences) is a criticism that, on the basis of recent data, could be made just as clearly in 2012. In 2010, an article by the Guardian's legal correspondents pointed out that even the sporadic call for more minority judges was being made by middle-aged white men. 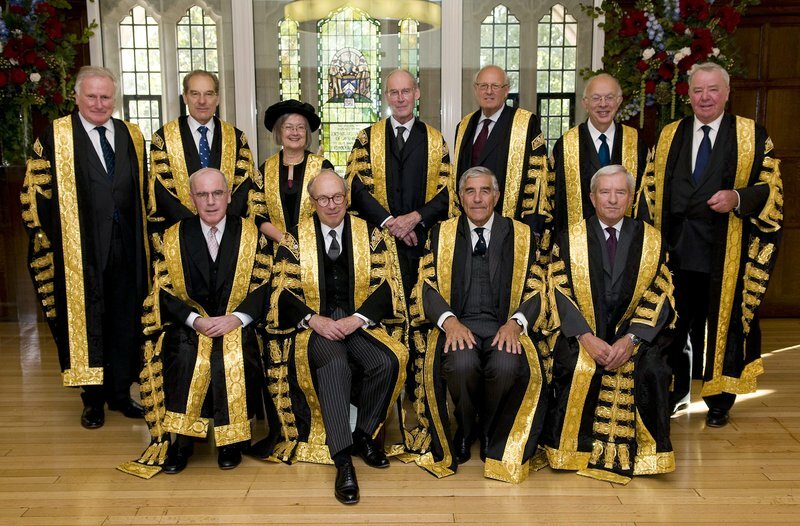 In 2011, the rather un-diverse House of Lords Constitution Committee launched its inquiry into judicial diversity after two new judges, both white and male, were appointed to the Supreme Court. As Geoffrey Bindman has recently written, the Supreme Court’s lack of diversity is most emblematic; but the data on judges as whole suggests the problem stretches across the board. Yet, despite all of this, judicial diversity is an issue which bubbles up then quickly subsides in the political consciousness, leaving the entrenched elite to get back to business as usual. This low-level concern for the current lack of judicial diversity raises two important questions: why is the judiciary still so glaringly lacking in diversity, and why has this not – like police racism and Oxbridge privilege – become an issue of concern in the public consciousness? To answer the first question, the expensive education and long years of training are seen as de facto barriers for many; discouraging for people who have not been raised with exposure to the judicial profession. The fact that most judges still come from the barrister route makes the judiciaries in some sense a second-tier, or corollary, of the problems in this field. As barristers in pupillage (i.e. training) were, until recently, often unpaid or minimally paid, this prevented talented would-be judges in socio-economically underprivileged situations from passing the first hurdle. It is hoped this barrier-through-eligibility should begin to subside both as pupillage is funded and more judges come from the solicitor route (although this still doesn’t stop the problem which ‘feeds up’ into the privileged-dominated judiciary – that becoming a barrister is not a route necessarily well understood or promoted to those outside the upper middle classes). Another barrier to diversity is the professional culture of long working hours and lack of respect for work-life balance. As was noted at a recent university discussion with Helena Kennedy QC and others – ‘Is A Diverse Judiciary A Pipe Dream?’ - this is particularly problematic when career development happens in the would-be judge’s 30s and 40s (where women are often ‘mummy-tracked’ out of the higher echelons). So, if these are some of the reasons why the judiciary remains so ‘pale and male’ – a mixture of factors specific to the profession and broader ‘glass ceiling’ factors that hamper diversity in institutions from Oxbridge to party politics – the question remains as to why the political will to fully address the ongoing problem of lack of diversity has not materialised. One point is that there has been no 'Laura Spence' moment to mirror the Oxbridge-privilege issue; where a very talented and flagrantly overlooked candidate becomes the human face of the structural problem. This in turn may be because minority judges and would-be judges in the legal profession are unwilling to come forward on this because, in the competitive legal world, the easy retort to the claim "I think I was overlooked because of my race/gender/ sexual orientation" is "no, it's because you're not up to scratch professionally". Sticking your neck out to point out privilege-bias may not be worth it professionally. Moreover, in the wave upon wave of scandals in the different spheres of public life in recent years – the crisis of faith in the financial sphere in the wake of the recession and high-profile fraud-cases, and the media on trial in the wake of Leveson – the judiciary has had a quiet decade by comparison to the other pillars, preserving itself, away from the fray of everyday politics, as a stable and safe institution. However, while the absence of an obvious scandal might befit the judicial branch’s role as the quiet overseer of public life, this also means continued inequalities can persist unnoticed: the political will to make the necessary reform is generated by scandal. While the broader structural inequalities and ‘glass ceiling’ issues might be beyond the judiciary’s remit, some basic changes to how the current system works would be easy to enact. There are clearly the obvious reforms. Reforms that should have been made a century ago, like those proposed for the House of Lords. We can also look to measures taken in the United States to create a more diverse bench. A better pay structure, working hours, and culture won’t just mean that judges are under less pressure - it might also mean that they’re less separated from the rest of the population in their patterns of work and life. More controversially, the rather artificial, and at times arbitrary, division between solicitors and barristers could be closed further, enabling judges to be drawn from a wider pool: the constitutional committee have called for more work to be done on recruiting non-barrister judges. Similarly, public education about the law and legal rights could easily be built into citizenship in schools, as well as other awareness-raising initiatives to prevent the legal profession appearing as an impenetrable world to those from non-privileged backgrounds. The Judiciary of England and Wales’ recruitment roadshows to reach a wider audience of would-be applicants are a good start. The big question is over positive action. To many people, this means quotas and an inferior judge being appointed to tick a box, but there are cleverer and more effective ways. To start, there’s the easily applied rule (contained in Section 159 of the Equality Act 2010) that if two candidates are equally qualified then diversity can be the ‘tie-break’. As we have argued, such an appointment makes for a more effective system of justice. Aside from that, early interventions to recruit and encourage under-represented groups to enter the law and then be supported to become judges might further add to the range of measures to improve diversity. This type of work is being undertaken by the judiciary, but it is widely used elsewhere in the public sector and, in particular, the police, where it was a specific recommendation of the Lawrence Inquiry. Here, it was acknowledged that only a workforce truly representative of a society can inspire the confidence of citizens. The House of Lords reform itself is still in process – but at least it has begun. With all eyes on the white men in white wigs at the top of the system, isn’t it time we begin to reform the whole judicial body?